Bain Capital manages Brookside Capital and it has a current portfolio of $4.12 billion, as per recent SEC 13F filing, with services and technology forming the primary investments of the fund. Brookside capital started in 1980s and its investments grew in multiple industries. Cisco Systems, Inc. (NASDAQ:CSCO), Twitter Inc (NYSE:TWTR), Signet Jewelers Ltd. (NYSE:SIG) are among the three new stocks added to its portfolio. (You can see complete holdings of Brookside Capital here). Cisco Systems, Inc. (NASDAQ:CSCO) is one of the recent stocks to get a place in Brookside Capital’s portfolio with investments worth $179 million and 7,219,900 shares. 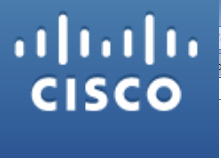 Cisco Systems, Inc. (NASDAQ:CSCO) announced revenue of $12.4 billion for its fourth quarter 2014 with GAAP EPS of $0.43. Yacktman Asset Management is the largest investor in Cisco Systems, Inc. (NASDAQ:CSCO) with investments worth $1.5 billion followed by First Eagle Investment Management ($1.1 billion), and Fisher Asset Management ($375 million). Brookside Capital has major investments in technology industry and Twitter Inc (NYSE:TWTR) is the latest edition to it portfolio with investments worth $147 million and 3,604,761 shares. Twitter Inc (NYSE:TWTR) reported revenue of $312 million for the second quarter 2014 with net loss of $145 million for the quarter. 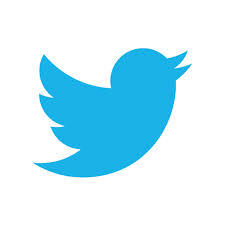 Jat Capital Management has investments worth $300 million in Twitter Inc (NYSE:TWTR) with 7,329,854 shares followed by Andor Capital Management ($204 million) and Brookside Capital. Signet Jewelers Ltd. (NYSE:SIG) is the third largest new investment of Brookside Capital as per their 13F filing with 1,257,200 shares and investments worth $139 million. Signet Jewelers Ltd. (NYSE:SIG) reported revenue of £1286.9 million for the first half of 2014. Corvex Capital has major investments in Signet Jewelers Ltd. (NYSE:SIG) ($622 million) followed by Citadel Investment Group ($256 million) and Odey Asset Management Group ($236 million).